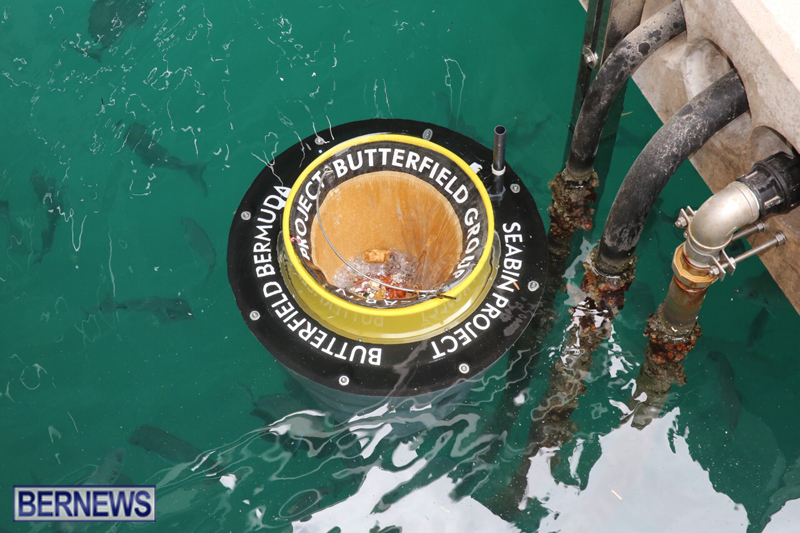 A V5 Hybrid Seabin—Bermuda’s first—has been installed at the Princess Marina at Hamilton Princess & Beach Club thanks to the sponsorship of Butterfield Group, a Global Pilot Partner of the Seabin Project. The Seabin is a floating rubbish bin designed to be placed at marinas, docks, yacht clubs and commercial ports as a part solution to the current global littering problem. Water is syphoned in from the surface and passes through the woven mesh catch bag inside the Seabin. The water is pumped back into the marina leaving litter and debris trapped in the catch bag to be disposed of properly. The Princess Marina at Hamilton Princess & Beach Club is one of six marinas participating in the Global Pilot, which will also see Seabins installed in Safe Harbors Cabrillo Isle Marina in San Diego [USA], Uunisaari Island in Helsinki [Finland] sponsored by Wärtsilä, Port Adriano in Mallorca [Spain], La Grande Motte [France], and the superyacht marina at Porto Montenegro. 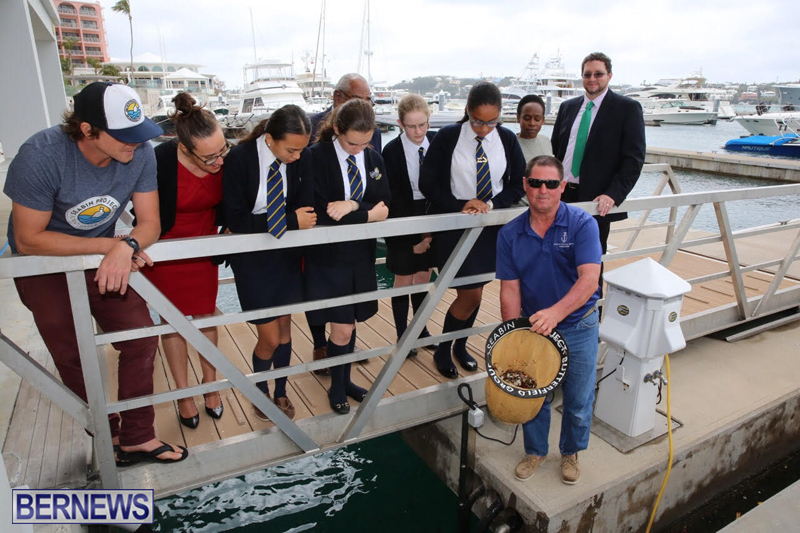 As a Global Pilot Partner, Butterfield is also working with local environmental and youth-focused organisations to introduce the Seabin Project’s open-source education programmes in Bermuda to increase awareness of the problem of ocean pollution among the island’s school children. Pete Ceglinski, Managing Director and Co-Founder of the Seabin Project said, “After nearly two years of work, it’s very exciting to see Seabin ocean tech and educational programmes being rolled out in communities around the world. We’re really pleased that, through our partnership with Butterfield, Bermuda is among our first locations. 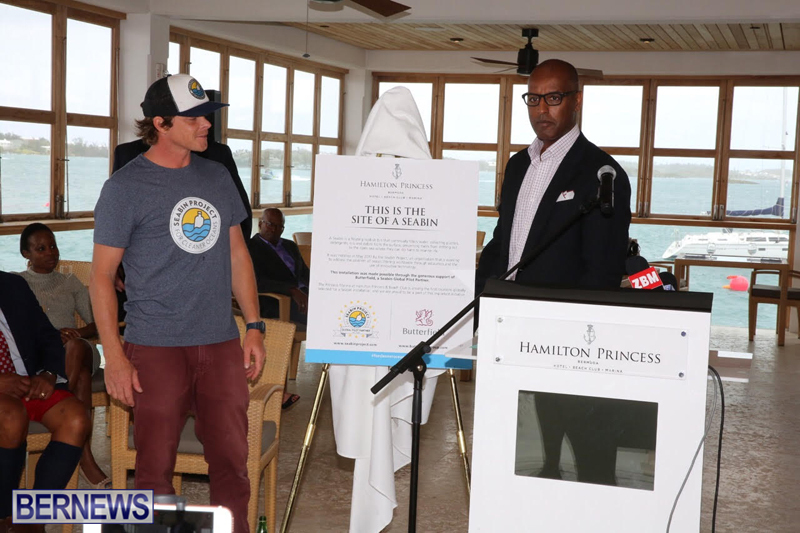 Allan Federer, General Manager of Hamilton Princess & Beach Club said “We are happy to be working with the Seabin team to help showcase their innovative ocean-cleaning technology, and to make a difference in the fight against ocean pollution. 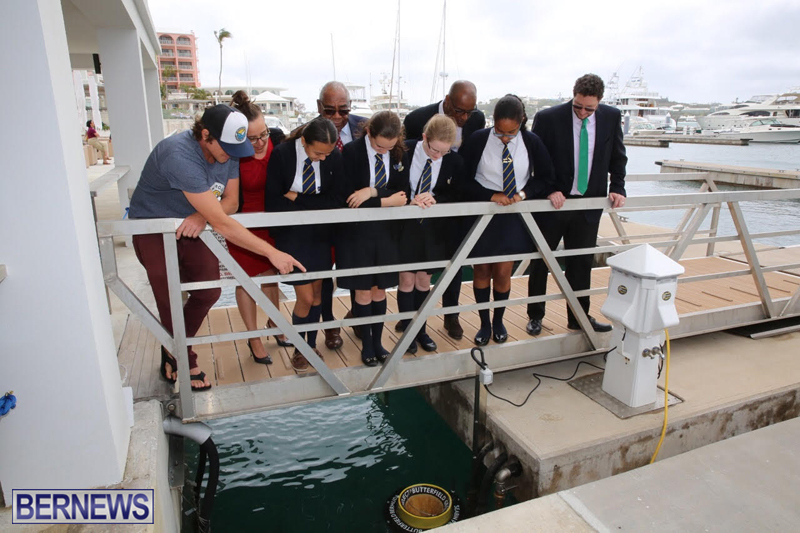 It’s a true honour to have our beautiful marina selected as the first location in Bermuda and one of the first locations worldwide to install a Seabin. 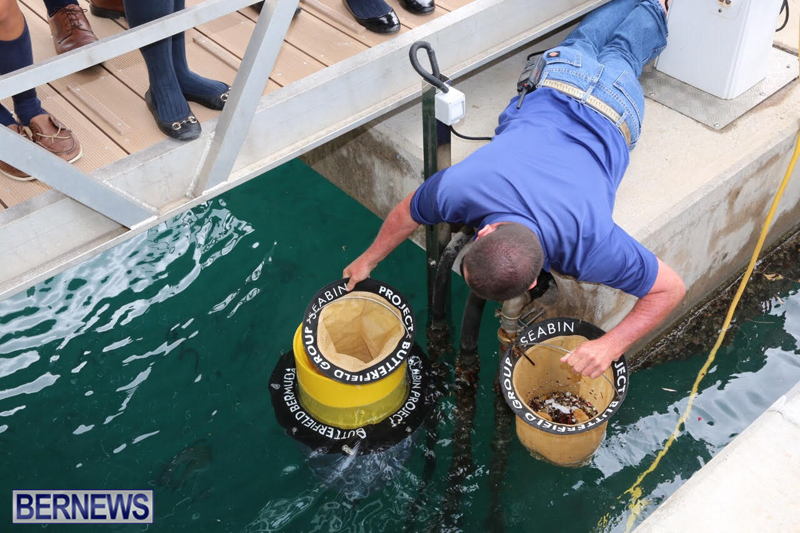 The Seabin Project is working to make Seabins available for commercial sale later this summer. Or a lot more smaller ones. But it is a fantastic project. Well done HP and Butterfield. I went and had a look on YouTube. There are much larger Seabins being developed as well as these smaller ones. 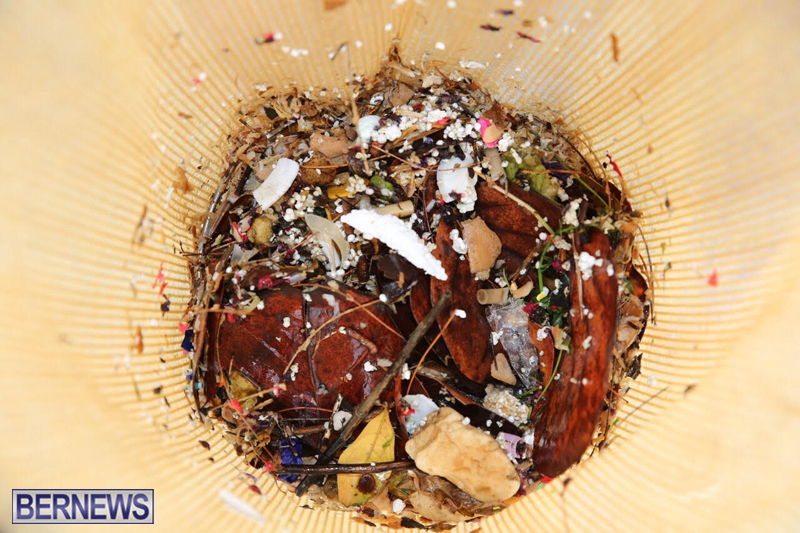 This could go a long way to help with ocean pollution. It is VITAL that Bermuda is involved with these projects! I fully support this stuff!!! yup,plenty of trash in Bermuda. In Bermuda boats may only discharge sewage overboard when beyond 500 metres from the nearest point of land, and not at all into the Great Sound, Little Sound, Harrington Sound and Castle Harbour. AC have contracted with suppliers to help “service” the super yachts while they’re here without them needing, or they can use the existing pump out facilities at Dockyard or the marinas. None of that should distract from what a great conservation effort this is by the Hamilton Princess and Butterfield! Great lets get this clean up started. Now we need to develop a bush bin to catch all the bottles that unbermudians throw in de trees. It appears that nobody has published a list of pump out facilities for holding tanks. 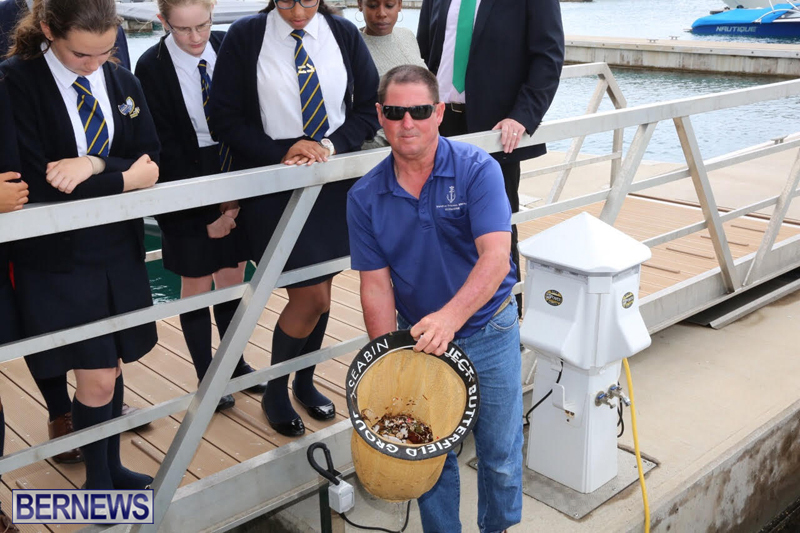 Those of us who have installed holding tanks to help the marine environment are in the dark as to where any facilities are and will there be a charge to being environmentally conscious. Heading out to sea may sound like a solution but it really isn’t practical. How about Conservation Services or Marine and Ports producing this list.